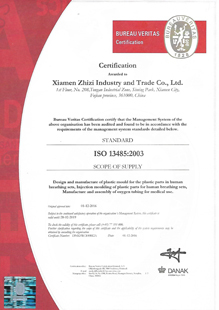 Company Overview - Xiamen Zhizi Industry & Trade Co., Ltd.
15YRSXiamen Zhizi Industry & Trade Co., Ltd.
Xiamen Zhizi Industry & Trade Co., Ltd. who specialize in the manufacture of plastic injection molds(2K injection molds) and plastic medical consumable parts, who was founded in 1998, the main products for the medical, automotive, electronic products and all kinds of plastic injection molds. Our company has more than 10 engineers and 80 employees who can achieve customers' desired and thought. With advanced molding technology, we have the professional moldflow analysis, CAD-aided design, product design and mold manufacturing with more than 10 years of practical experience. The equipment have CNC machining centers, mirror EDM, Slow wire cutting, milling, drilling and all full-mold finishing equipment, also we have ARBURG, TOSHIBA,SODICK TMC and 250T-2K injection machine and other 18 sets of precision injection mold machines. 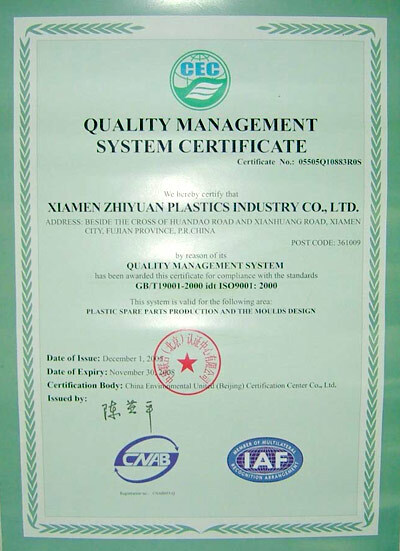 Under the company chairman and general manager of Mr. Zhihao Wang's leadership, an additional professional workshop for the clients' OEM medical plastic products production in 2005. 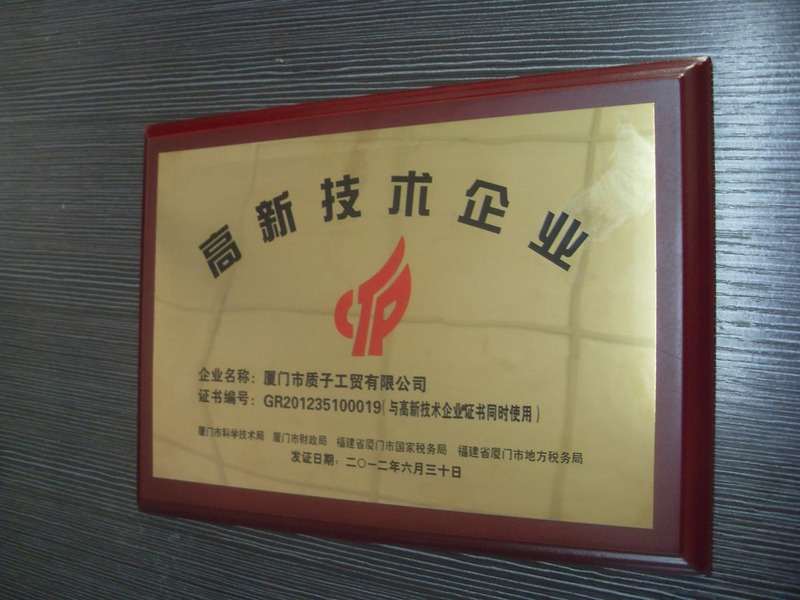 The existing storage area of nearly 1,000 square meters, the production workshop in which class 10,000 clean room more than 200 square meters and 100,000 clean room of 1,600 square meters. 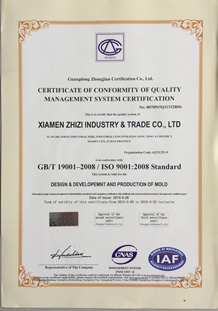 After years of arduous pioneering and the company with the high-quality products and first-class service, has now developed into a set design, development, manufacturing, sales and service in one integrated, professional mold manufacturing and injection molding products processing enterprises. With product design, mold design and manufacturing, plastic products production of integrated capabilities. 80% of products have been exported to Italy, Denmark, Spain, America, Japan and so on, has been highly positive and mutual trust. 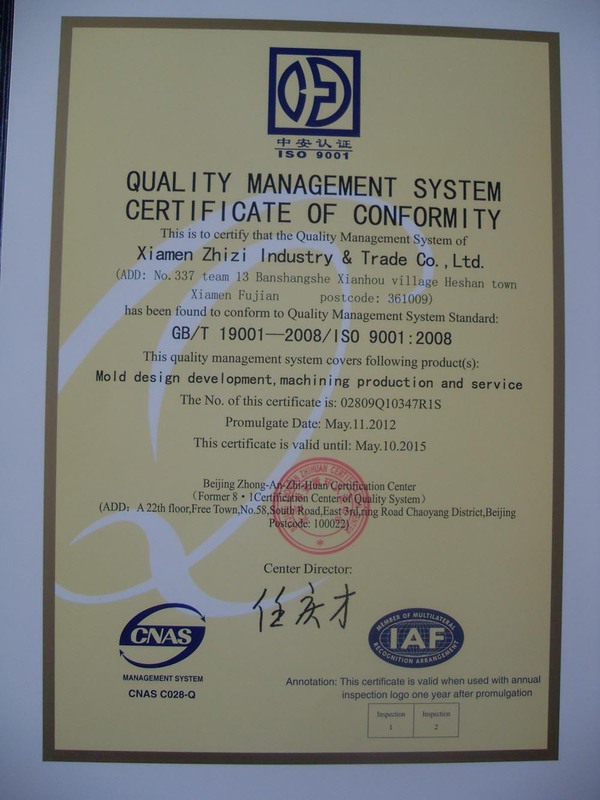 We adhere to the quality, credit best, customer first for the purpose and base on the ISO9001:2015 and ISO13485:2016 quality system is committed to the development of the medical consumables industry and plastics industry. Welcome new and old friends work together to create brilliant! 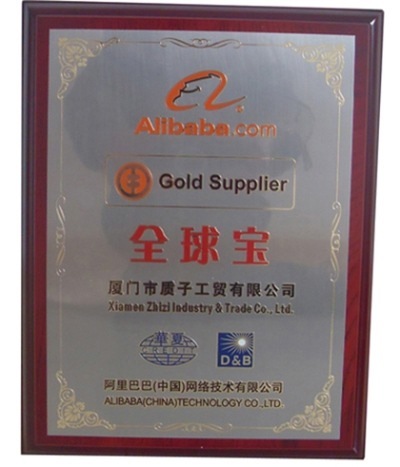 Issued by China Environmental United (Beijing) Certification Center Co., Ltd. 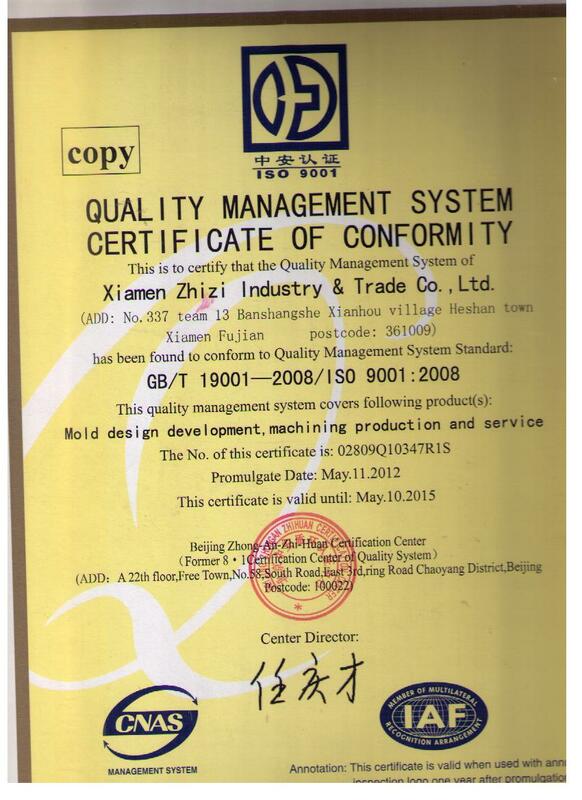 Plastic spare parts production and the moulds design. mold design,development machining production and serrice.